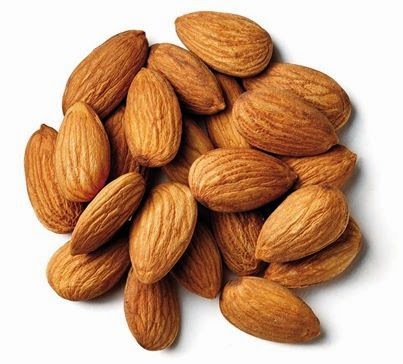 Almond can be eaten as a dry fruit, soaked and used as a paste, the oil extracted is valuable for a several remedies, marzipan made with almonds adds to cakes. Soak almonds overnight and grind into a smooth paste. Apply on the face and after 20 minutes wash gently. It smoothes the skin and removes blemishes. Eating soaked almonds – just 4 – 5 of them – first thing in the morning is very beneficial as this helps the body to digest protein all day long. Almond oil applied on the scalp rejuvenates hair growth and stimulates hair follicles. Almond oil applied under the eyes overnight, reduces dark shadows. A mask made with almond oil and a few drops of honey is really good for keeping away wrinkles. A paste of almonds mixed with some rose water is an excellent and refreshing face wash.